Ellis Alfred Swearengen and his twin brother Lemuel were born in Oskaloosa, Iowa on July 8, 1845. The twins were the oldest of eight children, raised by parents Daniel and Keziah Swearengen until they were adults in Iowa. Al, as he was known, arrived in Deadwood in May, 1876 as one of the earliest non-mining men in the area. By the end of the week he had a temporary dance-hall up and running. Arriving with his wife Nettie, she soon left him in September and later divorced him claiming spousal abuse. Swearengen would marry two more times while in Deadwood, both marriages resulting in divorces and similar claims of abuse. Swearengen soon replaced his temporary dance-hall with a permanent building called the Cricket Saloon, a very small tavern that the newspapers referred to as a “hall” due to its narrowness. For entertainment, Swearengen offered “prize fights” in a 5’x5’ space, though no prizes actually existed. The non-professionals engaged in the matches were generally normal working miners who were persuaded by Swearengen to participate. On April 7, 1877, Swearengen opened the Gem Variety Theater that was described in the Black Hills Daily Pioneer as being “neat and tastefully arranged as any place of its kind in the west.” The Gem Theater soon provided the entertainment starved camp with comedians, singers and dancers, as well as continuing its display of “prize fights.” However, the theater was mostly a masquerade for its primary purpose as a brothel, which soon gained a reputation for its debasement of the women who were pressed into service there. Al Swearengen recruited women from the east by advertising jobs in hotels and promising to make them stage performers at his theater. Purchasing a one way ticket for the women, when they arrived, the hapless ladies would find themselves stranded with little choice other than to work for the notorious Swearengen or be thrown into the street. Some of these desperate women took their own lives rather than being forced into a position of virtual slavery. Those who stayed were known to sport constant bruises and other injuries. With the entertainment provided and numerous women, the Gem prospered and soon became the camp’s chief attraction. Drawing its support from many so-called leading citizens, the saloon was left alone by the authorities. In the front of the theater were a bar and many seats for spectators. 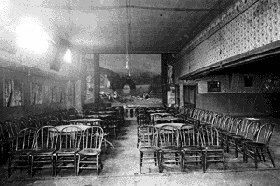 The rear of the building held several small curtained rooms where the Gem’s “painted ladies” entertained their customers. On its balcony, the Gem band was said to have played every night, while the girls beckoned to potential customers to com forth. Once inside, the women charged their customers 10¢ for a dance, 20¢ for a beer and $1 for a bottle of wine. As to charges for the “other,” it remains unknown. In addition to the many girls, Swearengen’s staff included Dan Doherty, who acted as general manager, Johnny Burns, who was in charge of the girls, and several bouncers. These men were said to have been as brutal to the girls as Swearengen, with beating of the women being a common practice. 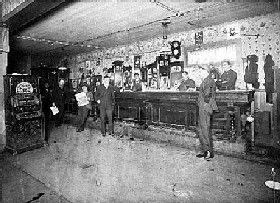 Though a popular spot amongst the rowdy miners of the camp, the Gem quickly gained a reputation as a violent saloon where gunshots flying through its interior became commonplace. Sometimes aimed between men in drunken fights, the bullets were just as often aimed at the girls themselves. At one time a Gem prostitute named Tricksie shot a man through the front of his skull after having taken a beating from him. However, the man didn’t immediately die. The doctor was called in who put a probe through the man’s head, amazed that he survived the gunshot at all. He died about thirty minutes later. Where was Marshal Seth Bullock while all this was going on at the notorious theater? Reportedly, Bullock and Swearengen agreed to draw an imaginary line on Main Street that marked what was referred to as the “Badlands” and the rest of the town. From then on, Swearengen controlled lower Main Street, and Sheriff Bullock controlled upper Main Street. In the early summer of 1879, the Gem suffered a fire, but the damage was quickly repaired and rebuilt. 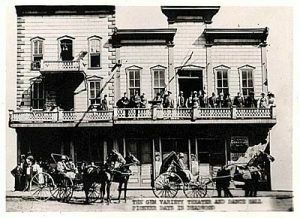 Just three months later, in September, 1879, the entire town of Deadwood suffered a disastrous inferno that claimed some 300 of its buildings, including the Gem Theater. Swearengen again rebuilt, this time from the ground up, resulting in a bigger and better theater. When the new Gem was opened in December, 1879 The Daily Times touted it to be the finest theater building ever proposed for Deadwood. Continuing to prosper, the Gem averaged a nightly profit of $5,000, sometimes even reaching as high as $10,000. But, for Swearengen, it was not to last. In 1899, the Gem suffered its final destructive fire and Swearengen called it quits, leaving Deadwood for good. Five years later, in 1904, Swearengen was found dead near a streetcar track in Denver Colorado. 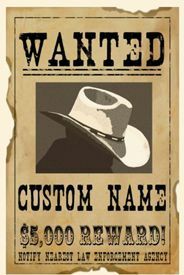 According to an obituary found around 2007, it was determined he died of blunt force trauma to the head. They were unable to determine whether it was an accident or not. This is different from previous historical accounts that said he died penniless while trying to hop a train. After the Gem burned in 1899, another fire, six months later, destroyed the adjacent buildings leaving a large vacant lot. In 1921, the site became the location of Deadwood’s first gas station. Today, the location of the Gem Theater is the site of the Mineral Palace Casino. For more information on the Gem Theater, Deadwood, and its notorious characters, visit the Adams Museum at 54 Sherman Street, Deadwood, South Dakota.